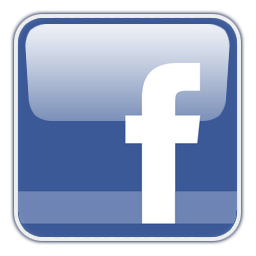 Today we’re delighted to share videos of our presentations on December 16, 2016, at the BSA Space in Boston. 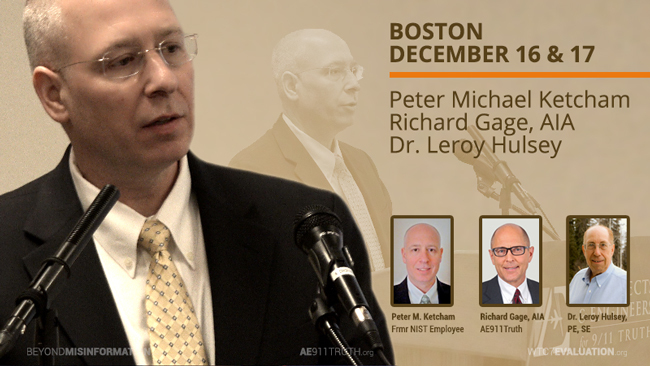 Videos of the next day's event, where Richard Gage, Dr. Leroy Hulsey, Peter M. Ketcham, and Chris Gruener all spoke, will be released after the New Year. 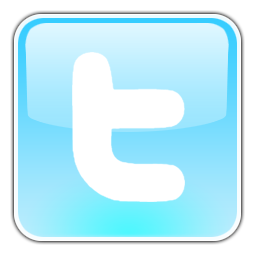 Stay tuned for those! 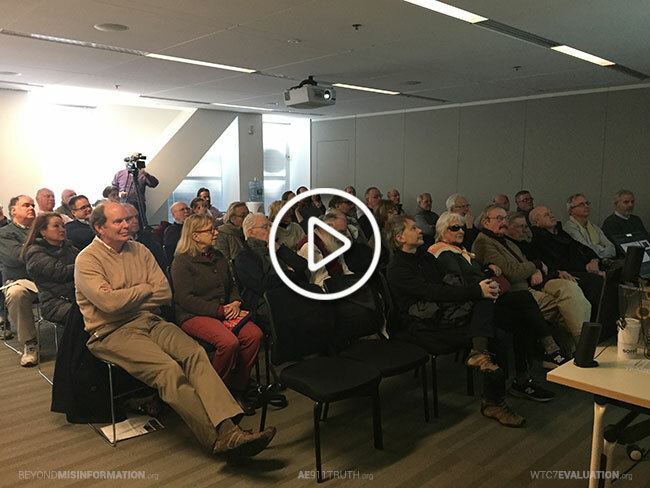 On the afternoon and evening of Friday, December 16, Richard Gage and Dr. Leroy Hulsey gave presentations on the collapse of World Trade Center Building 7 (WTC 7) at the BSA Space, which is the home of the Boston Society of Architects (BSA). 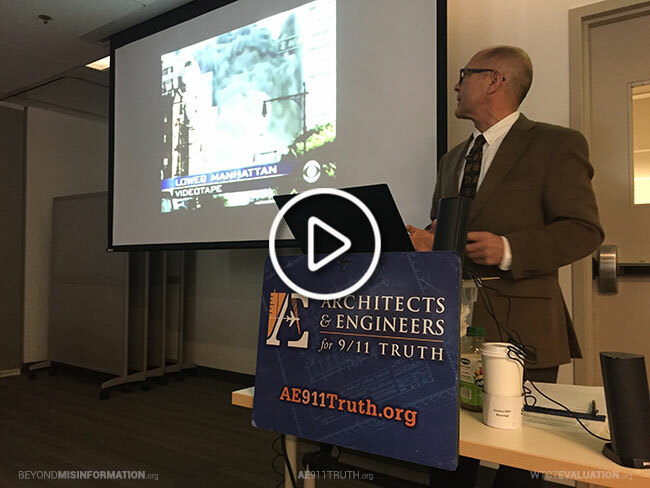 Gage’s two hour-long presentations were AE911Truth’s first-ever in-person continuing education courses to be given on the collapse of WTC 7. More than a dozen architects received one learning unit for their participation. After the course concluded, five members of the American Institute of Architects (AIA) added their names to the list of now more than 180 sponsors of the WTC 7 Resolution, to be voted on at the AIA National Convention in Orlando next April. Following on Gage's heels, Dr. Hulsey discussed his WTC 7 computer modeling study and its preliminary finding that fire could not and did not cause the building's collapse on 9/11. He also outlined the next steps of his research, which will include an exploration of the failures required to reproduce the observed symmetrical, free-fall behavior of the building. 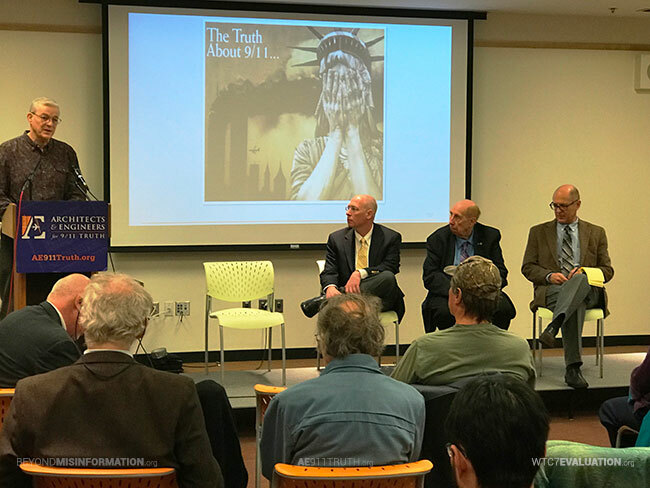 On a snowy afternoon in Watertown, Massachusetts, longtime members and supporters of Boston 9/11 Truth joined AE911Truth for a series of energizing talks. 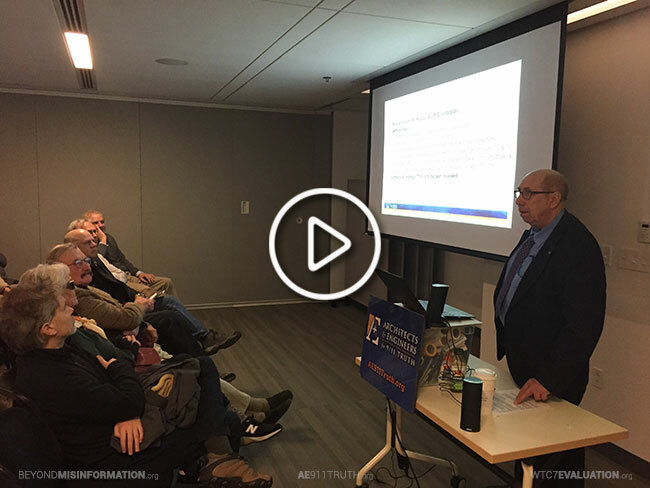 The event was highlighted by the first public appearance of former NIST employee Peter Michael Ketcham and by Richard Gage’s heartfelt update on the progress of our mission, including AE911Truth’s new continuing education courses for architects. Stay tuned for videos of the event after the New Year!